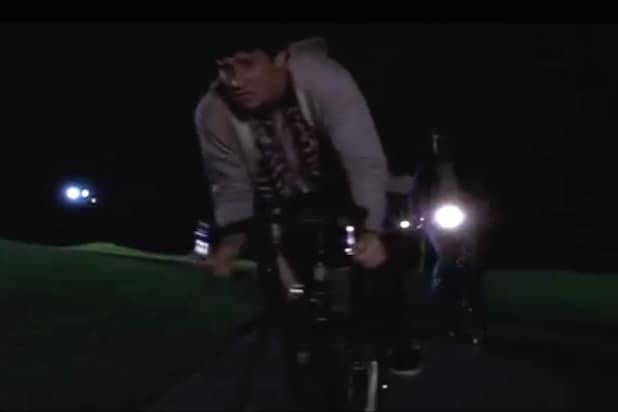 Aside from the gruesome figure in a rabbit costume that haunts Donnie, there are other rabbits in the movie: The Echo and the Bunnymen song "The Killing Moon" is featured in one scene as a Volkswagen Rabbit drives by; a stuffed rabbit appears next to Elizabeth Darko (Maggie Gyllenhaal) as she sleeps; Donnie appears in a photo dressed as a rabbit; and he also carves Frank's likeness into a jack-o-lantern. At the wrap party for the film, Seth Rogen and Jake Gyllenhaal reportedly agreed that they had no idea what the movie was about. "I didn’t get it back then, and still don't," said Rogen in 2007. 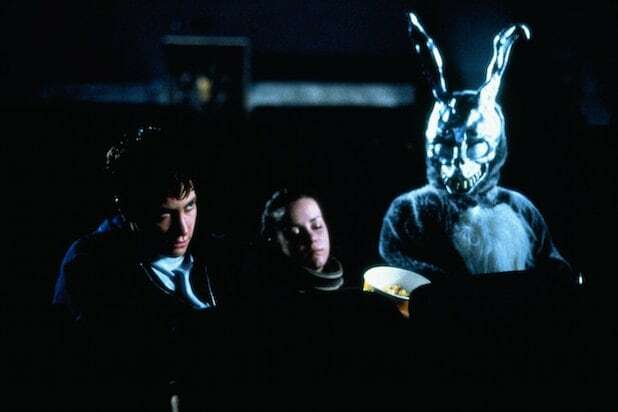 Even writer-director Kelly doesn't know exactly whether the movie depicts Darko's dreams or if it takes place in an alternate plane of existence. "I think that ultimately both of those things could be true," he said in an interview. 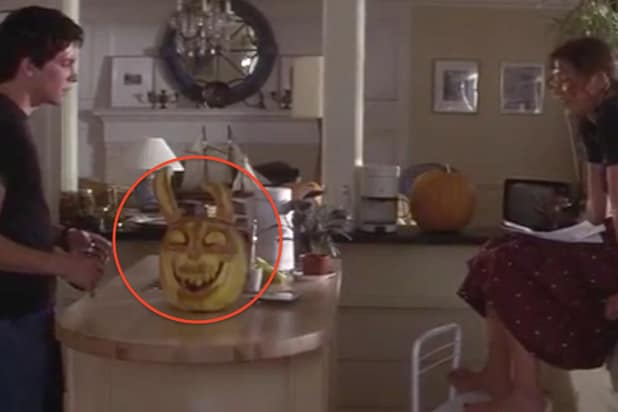 For more trivia, goofs and quotes go to IMDb's "Donnie Darko" page here.